Are you suffering from muscle, joint, or nerve pain? Looking for more than a quick fix? Is your daily routine painful or limited? Are opioids and surgery out of the question? It’s time to get answers. Muscle, joint, or nerve pain can be quickly resolved with simple movement and treatment strategies. –offers the best strategies with lasting results because we take the time to understand you, your problem, and how your pain behaves. Your treatment plan is custom-fit to your personal needs to correct the problem and learn how to keep it that way without unnecessary weekly treatments. Let us help guide you toward a solution! Not like any other chiropractor, he actually takes the time to discover the real issues and offer solutions like movement and stretching that actually work! Loved that I didn’t get sold some endless treatment plan of adjustments 8 days a week. Highly recommend this place! I am a serious athlete whose lower back “blew-out” on me last year (my words, not his.) He helped me with the immediate issue of pain and soon helped me to add core-strengthening techniques to my weekly routines. No new blow-outs since then and I’m feeling as strong as ever. I had history with other Chiropractors but wanted something more than just a quick crack and a “see ya next week”. Each visit was so thorough and I always left with a better sense of what could be going on with my body and what I could do to help it. His course of treatment has been so effective for me and I couldn’t be happier with the results. Without a full range of motion and proper use of joints, our backs, necks and joints become stiff and less mobile, leading to pain, greater loss of movement and dysfunction. The McKenzie method is a standardized assessment tool, defining and classifying movement problems and recommending appropriate treatment. MDT helps to treat conditions such as low back pain, neck pain, herniated discs, radiating leg pain, arm pain/numbness, and sciatica. MDT is also effective at classifying and treating joints of the extremities such as elbows, wrists, knees, ankles, and even the TMJ (jaw). Chiropractic adjustments are used to induce movement to tight and restricted joints in both the spine and the extremities. Joints often become restricted due to postural habits, improper biomechanics, and as a response to injury. Ultimately, certain joints become stiff when we don’t move them. A restricted joint causes nearby joints to have to move more to make up for what the restricted one cannot do. Excessive motion leads to hastened wear and tear of joints. Therefore, restoring movement and function in all joints is preventative for future muscle on joint problems. Yes, we’re chiropractors, but chiropractic adjustments are not an absolute necessity! Chiropractic is a profession, not a treatment. For those individuals preferring not to be adjusted, we use gentle mobilization (does not provide the audible cracking/popping sound) to a specific region to help restore movement and function. Mobilizations are targeted and specific based on a thorough biomechanical movement assessment. 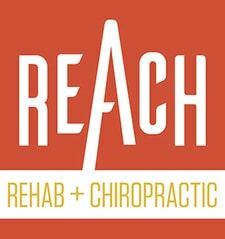 The REACH doctors adjust based on training by the Motion Palpation Institute, a biomechanically sound and evidence-based chiropractic manipulation method. Dynamic Neuromuscular Stabilization (DNS) is derived from a technique pioneered by Drs. Vaclav Vojta, a Czechoslovakian neurologist, and Pavel Kolar, PhD, PT. Dr. Vojta developed a unique therapy that was originally intended to treat children with cerebral palsy. Since its inception in the 1960s, it has grown and expanded and is now indicated for a variety of conditions in both the child and the adult. Prof. Pavel Kolar further evolved and expanded this technique to make it more dynamic and to yield faster results. The purpose of the technique is to promote proper activation and coordination of the neuromuscular system. This has yielded amazing success in treating pain syndromes as well as various neurological conditions such as cerebral palsy, scoliosis, and stroke cases. While DNS is routinely used in Europe, it has only recently started to gain popularity in the United States. ART is a movement-based manual therapy technique that addresses muscles, tendons, ligaments, fascia and nerves. It involves breaking up adhesions in the soft tissues by having the patient go through various motions while the doctor applies a very specific pressure to the area being treated. It has been proven to be highly effective in treating many repetitive overuse injuries such as IT band syndrome, carpal tunnel syndrome, low back pain, golfer’s elbow, tennis elbow, shin splints and even headaches. Functional Performance Rehab consists of a variety of corrective and performance exercises with the goal of improving your movement, function, and performance. Exercises are custom-tailored based upon the findings of your movement screen. When a particular muscle is not doing its job correctly (inhibition), other structures have to pick up the slack causing them to become over-stressed. This is called altered motor control and can be due to many factors including frequent sitting, sedentary lifestyle, poor postural habits, and previous injury. This causes undue tension in the aforementioned over-stressed muscles, ultimately leading to pain and injury. Corrective exercises are designed to curb altered motor control by stimulating the inhibited muscle(s) in functional patterns which translates to more efficient movement in sport and everyday activities; thus, increasing performance while decreasing the risk for injury. Instrument assisted soft tissue mobilization (IASTM) is an advanced manual technique where the therapist is able to effectively address myofacial or soft tissue dysfunctions (i.e. tight, stringy muscles) with the assistance of a contoured instrument. Dry Needling is a technique used by practitioners to treat muscular pain and movement dysfunction. The technique uses a “dry” needle — a very thin filament without medication or injection — inserted through the skin and into the targeted muscle(s). Typically, the needle is inserted into an area of soft tissue dysfunction called a, “trigger point.” Thus, dry needling is often referred to as trigger point dry needling and intramuscular manual therapy. A trigger point is a taut band of skeletal muscle tissue within a muscle. Trigger points are often identified by touch, sensitive to the touch, and cause pain in other parts of the body, i.e., pain referral. Dry needling is not acupuncture. Acupuncture, like dry needling, is a practice associated with inserting needles into the body; however, it’s based on Chinese medicine. Dry needling is based on modern Western medicine principles and administered primarily as a musculoskeletal therapy supported by research. Dry needling is used most effectively as an adjunct therapy to a treatment and rehabilitation plan, not a standalone therapy. Dr. Burr administers utilizes the Integrative Dry Needling (IDN) approach based on a thorough assessment and Physician supervision. What would take to love your body? Less stress, decreased pain, easier movement, more tone? I’m here to help you have that. With skills ranging from relaxation and rehabilitation to pain management, I customize each session to meet your unique needs, every session is thought out and intentional. With advanced training in pain science, body awareness, joint biomechanics, and relaxation techniques, I utilize science validated approaches and scrutinize our treatment outcomes to ensure that we’re reaching your wellness goals. In this digital era, we are constantly bombarded with new information and it can be overwhelming to find solutions to your wellness needs amongst all the choices we face. I am a continuous student, an advocate in pursuit of finding a better way. Not all manual therapists are educated equally, I’ve done my homework, let’s make a Wise Body Solution to help you “REACH” your wellness goals. Rolfing® Structural Integration is an effective hands-on therapy designed to treat the cause of your pain, not just the symptoms. This hands-on work uses intelligent touch to release various layers of tissue restrictions, revitalizing your entire body allowing for a deep sustainable change in posture, health, and movement. Rolfing is a series of ten bodywork sessions that are designed around you and your goals. We are all made up of life experiences, injuries, stressors, ideas, and habits – which, combined give us physical individuality. Rolfing provides a way to investigate your whole bodies habitual patterns that have lead to tension and pain. Each session works with a different area of your body, allowing for cumulative learning and full body fluid movement. Rolfing is a great treatment option for young or old, elite athlete or weekend warriors and even the injured. Common results are unrestricted free movement, increased body awareness, less pain, improved posture, and better flexibility. Rolfing is unique because it isn’t a technique, it’s a philosophy. By honoring your natural instinct to heal and working together to find your unique restrictions and habitual patterns, your body learns to better regulate itself meaning decreased pain, and increased adaptability to life’s stressors.